Problem-solving is an essential skill, regardless of ones job. So, when I happened onto the Troubleshooting Flow Chart that depicts this process at its most fundamental level, I recognized the opportunity and obligation to introduce it to any viewers who may be unfamiliar with the schematic and, more importantly, its powerful underlying principle. 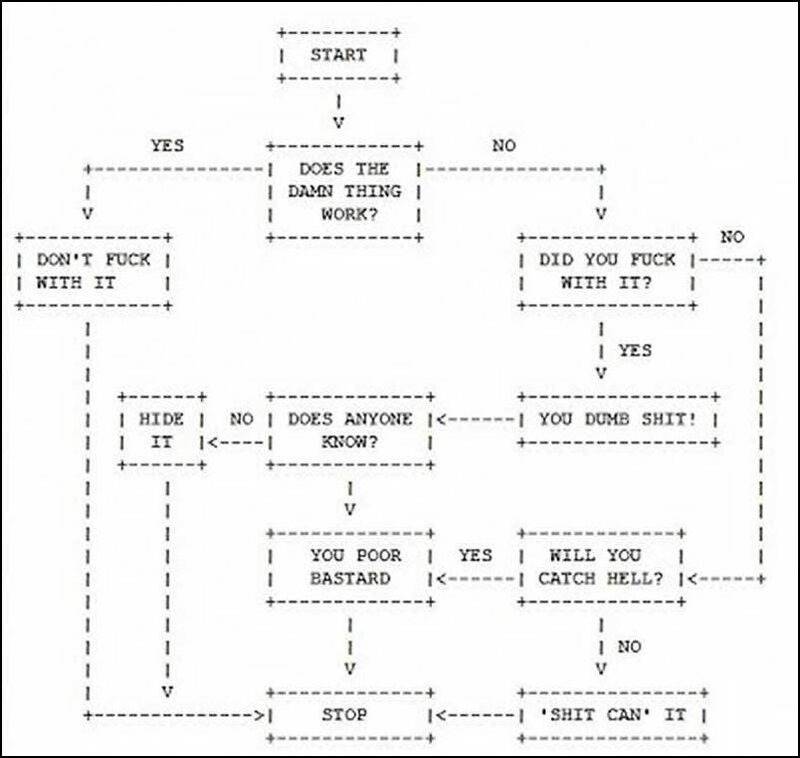 The diagram at the top of this post, said to have circulated on the internet before it was the internet,1 is the earliest and simplest version of Troubleshooting Flow Chart I’ve found, but is certainly a distant iteration of the original.2 Later editions that feature more elaborate algorithms and flashy graphics are available but add little of substance to the concept. In any case, I submit that the worldwide distribution of the Troubleshooting Flow Chart itself justifies the existence of the internet.